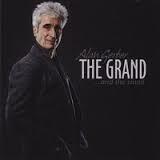 Hailing from Chicago, Alan Gerber has been a component of the music industry since the early 1960’s. Starting as a member of the Elektra Records-based band, Rhinoceros, he continued to have a fruitful solo career, passing his multi-instrumental talents onto two of his children, Eli and Hannah. “They have been playing and singing from day one,” Gerber explained. “They would be sitting at the piano with my wife, Robin, or me, joyously banging away, until one day they were really playing. Robin gave them classical training until they were proficient enough to assume their own directions. When Eli was 8 and Hannah was 5, they would get up on stage with me at festivals to play a 6-handed piano boogie. Eli started to play the guitar at the age of 12 and by the time he was 13 he was doing shows with me and really wowing audiences. By the age of 10 Hannah sang with me at The Montreal Jazz Festival on a big stage for about 14,000 people. Gerber has been a musician and singer/songwriter from the time he was very young and it seems that his children are following in his musical footsteps. With such a musically-diverse background, having experienced all ends of the artistic spectrum, I wondered the major differences that Gerber experienced being a part of a supergroup in the 1960’s verses holding a solo career in today’s industry. “When I was a member of Rhinoceros we were put together – taken care of in a business sense – and creatively ‘guided’ by Elektra Records. 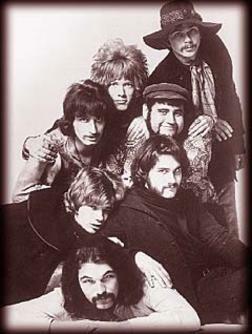 There were seven strong individuals and our musical direction was not always crystal clear,” Gerber revealed. “As a solo artist the creative direction is all in my hands but the business, which has certainly changed in the last few years, is something I always have to juggle. I have to be the songwriter, artist, producer, booker, social media person,” he could’ve gone on forever. The bottom line is that the industry today, while growing and evolving at continuous speed due to technological advances, is a thousand times more complicated than it used to be. While the idea of becoming an independent artist is much more tangible at this time, it also makes things more difficult when you don’t have a label to rely on. Credit has to be given where it is due to artists like Gerber who take time out of their on-going creative processes to handle the business aspects of their career – like doing interviews with college journalists! Gerber truly inspired me with his next response when I asked about his songwriting talents, and the song he considers to be the pinnacle of his career thus far. There has been a common debate threading itself throughout the industry today, from university classrooms to listening rooms in the halls of music publishing company. The debate between the importance of lyrics verses melody and which evokes more emotion from the listener. “For me, on one hand, nothing can be sweeter than listening while reading the lyrics, to someone like Paul Simon, Bob Dylan, Leonard Cohen, Joni Mitchell or John Lennon, to name a few. On the other hand the music, funky rhythm and melodies of people like Ray Charles, Ottis Redding, Sam Cook, Smokey Robinson, Aretha Franklin and Etta James (along with many others) is just plain irresistible! I’d have to say that the ultimate best is a combination of both.” Gerber explains his takeaway from this debate naming influences that personally enhanced my own musical personality while growing up and I couldn’t agree more with his outlook on the combination of the two. The University of New Haven is a great place to go to school, and they truly uphold their music industry program – constantly seeking new ways to grow and offer experiential opportunities to their students. That being said, I wanted to provide the students of UNH’s music program with a moral to the story from this article – words of wisdom from a key figure who has experienced just about everything the industry has to offer.